Alex Kaczun, an accomplished American Type Designer–Graphic Artist and founder of Type Innovations, has over two decades of experience in typography, graphic design, desktop publishing and web development. Much of Alex’s career was spent at the premier type foundry, Linotype-Hell (aka Mergenthaler), where he was the principal type designer and worked on many font projects aimed at modernizing the Linotype Library. He was commissioned by Harvard University to create a Greek typeface for their Loeb Classical libraries, and during an ad campaign for VERIZON wireless, Alex developed a family of fonts for Bell Atlantic Mobile. Alex Kaczun was trained in letter design at Mergenthaler’s NYC Letter Design Office by John Quaranta, a 35-year veteran. Alex worked alongside with Quaranta on many hand-drawings which were later digitized into the IKARUS system and used to interpolate additional weights for the development of the New Baskerville typeface series. During his long tenure at Linotype, Alex held positions of increasing responsibility. 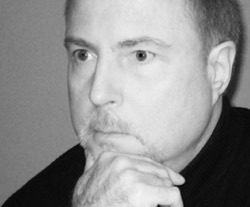 As the Principal Type Designer, Alex managed the development of The Adobe/Linotype PostScript Font Library and created multiple master fonts for Apple Computer’s QuickDraw technology. In addition, Alex Kaczun was responsible for a decade-long project aimed at modernizing the Linotype library—reviving many of the great American typefaces, such as Caledonia®, one of Dwiggins’ most popular typefaces. In 1980, he joined a small group of entrepreneurs and pioneered the development of the world’s first digital font library at Bitstream, then located in Cambridge, Massachusetts, where he worked with numerous type luminaries, including Matthew Carter, David Berlow and others. Alex had previously worked with Matthew Carter on the AT&T Bell Centennial project. He made drawings based on Carter’s bit-mapped renderings for the new “Address, Name & Number, Sub-Caption and Bold Listings”. These drawings were later digitized and converted to bezier curves to create the vector-based fonts in use today. In 1987, Alex Kaczun reworked and expanded Minister™, an original design by M. Fahrenwaldt for the Schrifguss foundry. Alex made a study of the original drawings, created new weights for a light and a black, and based on his redesign concept used IKARUS software to interpolate the new family of weights. After Alex made further adjustments to the interpolated shapes, we now have a polished new Minister family which would have made Mr. Fahrenwalt proud. During a ten year period at Linotype-Hell, Alex Kaczun reworked and expanded on the work of many American type designers, notably Dwiggins Electra® and Ruzicka’s Fairfield®. After rethinking and reworking the progression of weights in both new font families, Alex created an additional display version of Electra, and for the Fairfield family, Alex implemented a concept called caption, Swash, true-drawn small capitals and old style figures. Afterwards, Alex took a position at Bozell-Worldwide, a large international advertising company, where he was type director and managed the front desk at the CPS Group. The company is well known for their successful “Got Milk” ad campaign. At Bozell, Alex honed his skills in graphic design, desktop publishing, prepress print production and the web. In early 2003, Alex went to work for Bertelsmann’s-Bookspan division (previously Doubleday Books), where he initially worked within the prepress department, eventually gravitating towards book jacket development—creating hundreds of jacket layouts and designs for almost 20 different book clubs. In 2010, Alex Kaczun worked at Curran & Connors advertising, in Hauppauge, Long Island, on their corporate annual reports, and later for Publishers Clearing House (aka PCH) in Port Washington, NY, as a Graphic Design Artist working on their catalogs and direct mailing components. Currently, Alex Kaczun works from home as a freelance consultant, allowing him to pursue his passion for type design and developing new and innovative typefaces. Alex plans to bring other young designers into the fold, training them in all aspects of classic letter design in the hopes of perpetuating a greater understanding and appreciation for this wonderful craft. His recent works include Android, Beatnik, Big Boy, BottleKaps, Doc Holliday, Eclipse, Extreme Sans, Geomatrix, Golum, Hippyfreak, Innovage, Kaczun Oldstyle, Mandelia, Misses Twiggs, Mister Twiggs, New Age Gothic, New Renaissance, Oronteus Finaeus, Racetrack, Scion, Shockwave, Switched On & Switched Off and Swordtail. One of his most popular new designs is a 16-style geometric family of fonts called “Contax Pro”. The success of “Contax” has inspired Alex Kaczun to create yet additional corresponding variations including “Contax Sans”, “Contax Serif” and “Contax Slab”. All 4 typeface style variations of “Contax” were carefully coordinated to compliment and work well with each other and provide a useful palette of font choices for both print and the web.